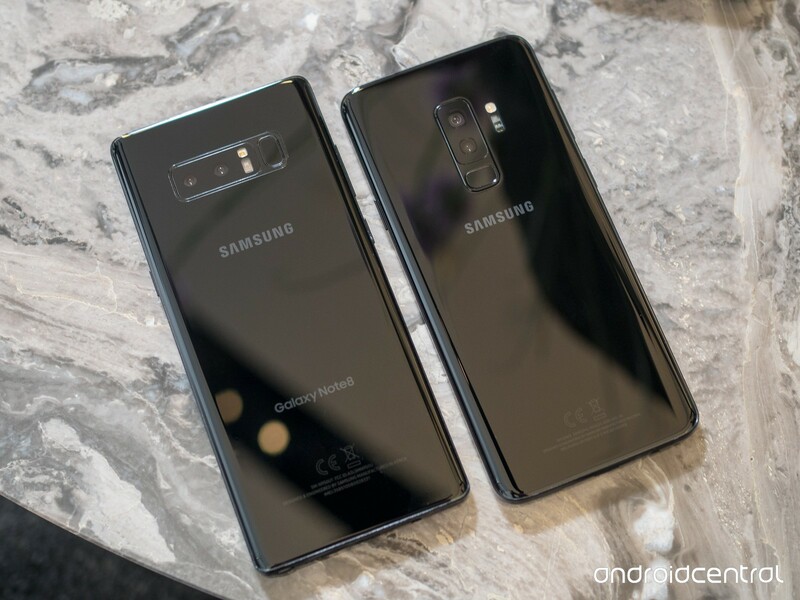 According to reports from Korean media, Samsung could be looking to merge the Galaxy Note and Galaxy S brands given that the differences between them are minimal. This move can reduce the costs of Samsung's mobile development portfolio and possibly increase profitability amidst the onslaught of Chinese smartphone brands. Korean outlet, The Bell, reports Samsung's plans for its Galaxy lineup of phones for this year and the next. The Galaxy Note 9 is all set to launch on August 9 but Samsung is keeping its expectations tempered regarding the sales of the device. The Bell also reports that the company is contemplating on merging its Galaxy Note and Galaxy S lines into a single brand to minimize development costs and maximize profits. According to sources who supply parts for Samsung phones, about 12 million units of the Galaxy Note 9 are expected to be shipped this year. July to September 2018 will see production of 7.5 million units (2.5 million per month) while October to December 2018 will see about 4.5 million units (1.5 million units per month) being produced. The shipments towards the end of this year will depend on the initial sales volume. Apparently, Samsung's IT & Mobile Communications (IM) division is not very happy about the pretty lackluster sales of the Galaxy S9 prompting the company to set relatively modest targets for the Note 9. Also, Samsung feels that most buyers of the Galaxy Note 9 will be those upgrading from previous generations of the smartphone rather than new customers as the improvements in this generation are only iterative at best. Features that were once thought to debut with the Note 9 such as the in-display fingerprint sensor and triple-cameras have been pushed to future models. Perhaps, the Galaxy Note 9 will be the last of its kind, at least in name. Officials within the IM division are reportedly contemplating on consolidating the Galaxy Note and S lines into a unified offering. This makes sense as both series are not too different from one another save for screen sizes and the S Pen. Considering the fact that the Galaxy S9 Plus has a screen size of 6.22 inches, it has already approached the Galaxy Note 8 territory that has a 6.3-inch screen. The Galaxy S10 Plus (or whatever it's called) is expected to sport a 6.4-inch display. Therefore, whatever upcoming Note-like device the company wants to make could actually be the higher-end Galaxy S device. The discussions to unify the flagships is not new, however. Samsung's industry partners have been appraised of such possibility in the Quarterly Business Review (QBR). A parts company official told The Bell that the decision is not final as pros and cons are still being weighed. Both the Galaxy Note and S lineups have loyal customer bases that need to be factored in before deciding on a move. If true, such a consolidation move does make a lot of sense. With Samsung facing cut-throat competition from Chinese smartphone OEMs of the likes of Huawei and Xiaomi, it would want to minimize costs and divert the same towards more R&D. Industry sources also say that the folding Galaxy smartphone is likely to form a part of the main lineup for next year. The company is adopting a wait-and-watch approach and the sales of the Galaxy Note 9 would be paramount in determining the future course of Samsung's flagship phones.